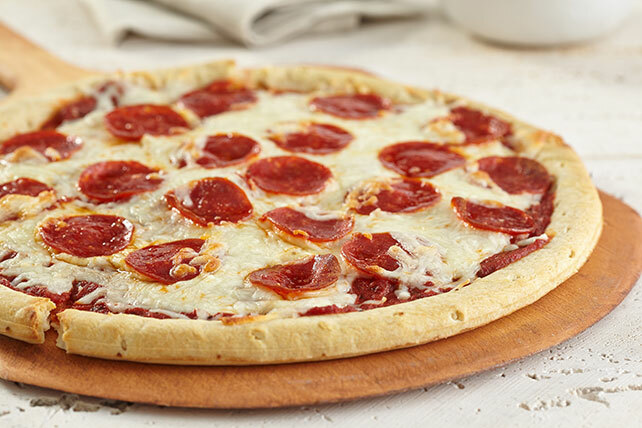 Whip up a family favorite with our Pepperoni Pizza recipe! This 17-minute pepperoni pizza recipe uses ready-to-use pre-baked pizza crust & 3 ingredients. Place pizza crust on baking sheet; spread with pizza sauce. Bake 10 to 12 min. or until cheese is melted and crust is golden brown. Pair with a crisp mixed green salad.